German-based hotel chain Pentahotels is finalising definitive agreements with Capital Group to open pentahotel Moscow – Arabat as its first Russian hotel in Moscow. The new property will be open in time for the June 2018 FIFA World Cup to be hosted in Russia, and sees the neighbourhood lifestyle hotel group teaming up with one of Russia’s most respected property developers. 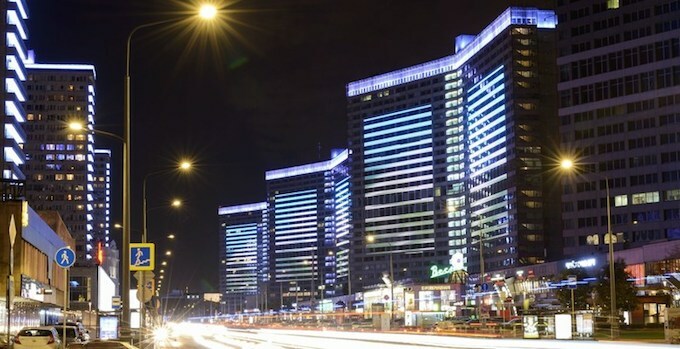 Pentahotel Moscow – Arbat will be situated within one of the four famous ‘Book Houses’ located on Novy Arbat, around one mile from the Red Square. As part of Arbat, 15 Building, the new hotel will be ideally located at the intersection of tourism, government and commercial districts. The hotel will showcase pentahotels’ trademark pentalounge and European-led design elements, as well as 228 guest rooms, meeting space and a gym. Lifestyle features such as billiard tables, digital entertainment and other non-standard features, mean pentahotel Moscow will bring an entirely new offering to the area, welcoming travellers and Muscovites to a stylish, comfortable and modern reflection of Moscow’s contemporary lifestyle. Puneet Kanuga, vice president Acquisitions & Development of pentahotels, said: “We are delighted to work with Capital Group to bring pentahotels to Moscow and, with a unique product occupying an iconic, city centre building, fill the gap in the market’s lifestyle hotel category. Mikhail Khvesko, executive director of Capital Group, said: “Following a series of negotiations with several of the world’s best operators, we chose pentahotels. The strategy for all our new development projects is not only to provide highly sophisticated, new architectural solutions, but also ensure their harmonious integration in line with the standards of modern European urbanism. JLL acted as sole advisor to Capital Group on the hotel part of the concept for Arbat, 15 building. Tatiana Veller, Head of Hotels & Hospitality Group Russia & CIS, said: “New Arbat, set on the intersection of Moscow’s administrative, business and touristic routes, is a great location for a reasonably-priced, internationally managed hotel with a lifestyle concept. Thanks to its very efficient product model, high level of centralised support and relatively low development cost, pentahotels enjoys a strong track record of delivering a high return on investment for its owners. The brand is poised for substantial growth with another opening recently announced in the centre of Bangkok, and a significant number of developments in the pipeline.